This article was written By Jon Jung on 09 Jun 2011, and is filed under Reviews. Jon Jung (aka “Coffin Jon”) is the producer and host of the VCinema podcast and editor-in-chief of the VCinema blog. He is an avid movie fan who specializes in Japanese cinema, but enjoys everything from artsy high-brow to mega-billion blockbusters to straight-to-video turds. As an Asian-American, he got the best of all cinematic worlds as a child by receiving mega-doses of Ozu, Bruce Lee, Kamen Rider, and American drive-in movies in addition to a steady diet of punk rock, Japanese literature, and Buddhism. He spent six years in Japan as an English teacher and translator. In 2004, he returned to the United States to complete his Masters in Language Education and continue his career as a language educator and cultural anthropologist with a focus on language policy and language shift. Jon is a former Myrle Clark Award recipient for excellence in creative writing and has contributed to World Film Locations: Tokyo (Intellect, 2011). Every town has one. An abandoned house, school, or sanatorium located in the outskirts which is purportedly haunted. In my hometown, located in the San Francisco Bay Area, that place was The Carolands, a giant chateau-style mansion featured in the 2006 documentary Three Women and a Chateau. Throughout the ’70s and ’80s, the mansion was abandoned due to various circumstances, so the Carolands was believed to be haunted. Until that time, nothing particularly violent or terrible had happened to any of its residents or visitors to warrant a ghostly reputation, but both the mansion’s size and classic style and the fact that every teenager drunk on Coors Light needs a story to tell to their buddies made the place ripe for hanging out and exploring. So, allegedly (I was a bit young at the time, so don’t have first hand experience), kids would jump the gate and hang out in the mansion until 1985 when a real kidnapping and murder occurred, a crime not committed by anything remotely supernatural, but a night security guard who had abducted the two victims on the grounds. 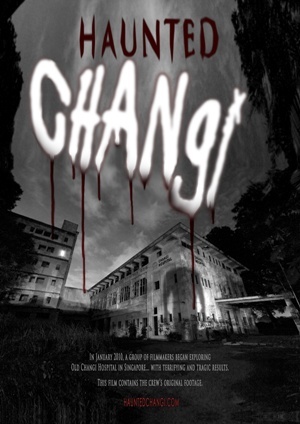 In the coastal Singaporean town of Changi, the Old Changi Hospital is the locals’ haunted place, but one of much greater notoriety and rightfully so considering its history. The hospital was built in the 1930’s as a command center and barracks, then seized by the Japanese during the war. There, it was converted into a hospital and detainment center for POWs and the existence of a torture chamber and an extensive underground bunker seem to suggest that something more was happening there. After the war, the building was converted into a full-blown hospital until 1997 when the brand new Changi General Hospital opened up. Since that time, the Old Changi Hospital has suffered the effects of abandonment and now stands in ruins. The perfect place for a horror movie. Haunted Changi is, in fact, an attempt to capitalize on the hospital’s notoriety as one of the most haunted places in all of Asia. The film involves a small crew of young filmmakers who are producing a documentary about the hospital. Along with interviews with locals and themselves (their de facto motto is “always film, no matter what”), they end up spending several evenings in the hospital, hoping to record its interior and, if they’re lucky, a ghost or two. Production, at first, goes well until the crew hears strange sounds. When the local paranormal investigation team sent to investigate the hospital becomes spooked then everything starts going wrong. For anyone who has tired of the “found footage”/point-of-view films popularized by The Blair Witch Project (1999), Cloverfield (2008) and [Rec] (2007)/Quarantine (2008), then you might want to read another review on our site, work on that toothpick-ship-in-a-bottle you’ve been neglecting, or take care of that ever-growing list of pokes on your Facebook page, because Haunted Changi is probably not going to change your mind that this sub-genre has much else to offer. With that said, the filmmakers did an admirable job capturing the lore surrounding the hospital as well as the location itself. 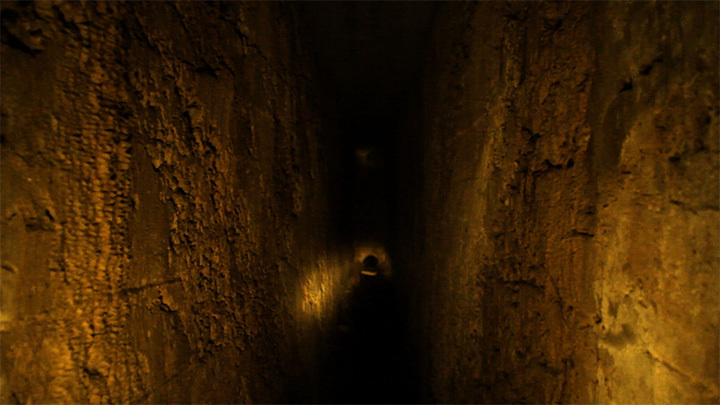 The hospital’s hollowed out chambers, long corridors, and dark underground catacombs are simply incredible and depicting them is when the “found footage” gimmick really comes in handy. Shaky handheld and night vision cameras are a standard of the genre and they are put to good use, emphasizing the ravaging of time and man that the hospital has endured. Shots in the labyrinthine underground bunker are fittingly claustrophobic and disorienting (and might be a little precarious to those who are prone to motion sickness). Anyone who has even thought about visiting the site will have their interest reborn after watching the film. However, even with such an incredible place to shoot, the filmmakers don’t do much with their story, relying more on their character’s frenzied states of mind to convey fear, the main weakness of the film. A film of this particular genre relies on the filmmakers themselves to play themselves, a feat that’s pulled off when they are simply being themselves, goofy young people. However, any scene that requires acting comes off as either overwrought or silly. Again, though, the location is the real star of the show. Even if Haunted Changi isn’t the most compelling or scary film, it is a showcase of what might end up being a lost piece of Singaporean history. 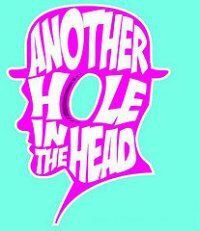 Haunted Changi was screened at the 8th Annual Another Hole in the Head Film Festival, June 2nd – 17th.